I’ve been asked a lot recently about asking permission first to include a blog in a blogroll. I found this an interesting question since it never occurred to me that permission would be required. After all, isn’t inclusion in a blogroll a compliment? 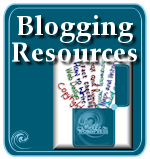 A blogroll, sometimes called a “sidebar links list” or “bookmarks list”, is usually found on a blog’s sidebar and is a list of links to other blogs. 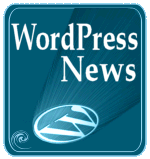 When you install a WordPress blog for the first time, it automatically comes with a list of links in the blogroll to Matt, Mike, and others who are the founding developers of WordPress. To change them, go to the WordPress Administration Panel > Links/Blogroll and add or delete links and they will appear in the sidebar when you are done. The Links Manager was called “Links” until the recent updates of WordPress, which changed the title to Bookmarks, and then to Blogroll. Either way, they are all the same. 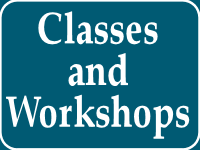 The WordPress Codex has a great step-by-step article on managing links in WordPress. You can put anything and anyone you want into your Blogroll list. Most people consider it a compliment to be added to a blogroll. You are telling the world that this is someone’s writing or work you admire and recommend. While your blogroll can link to anything, I believe a blogroll comes with some responsibility as your readers trust you to help them find related and worthwhile blogs to read. When considering who I want on my blogroll, I think back to when I started to hang out with a “bad crowd” as a teenager, and my mother gave me some wise advise. She told me that while people define a person by who they are and what they do, they mostly measure you by your friends. Your friends are a reflection of you, representative of your morals and values, as well as your personality and character. Hang with lazy folks, you’re lazy. Spend time with do-nothings, you’re a do-nothing. Spend time with brilliant, educated, and thoughtful people, and you might just be considered one. As a typical teenager, I thought she was full of crap until I looked around and realized that I’d been judging people by the crowd they hung out with. I grouped people by their collective labels. We had the geeks, gangs, gross-outs, loaners, actors, and footballers (popular cheerleaders and sports celebs) in our school. I took one good look at who my new friends were and was grossed out. So I started hanging out with the geeks and suddenly felt better about myself. I think of the links on my blogroll as reflections of the kind of person I am, so that’s why I call my blogroll Displays Brilliance. It’s also a clue of what I think of them, which I’d have to say is a good recommendation, don’t you? Do I Need to Ask Permission for a Blogroll Link? Since a link in a blogroll is a compliment and recommendation, do you need to ask permission to include a blog in your blogroll? Good question. I would think not. 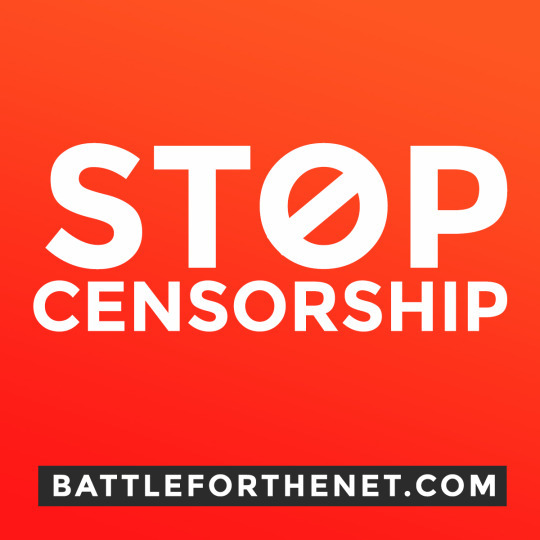 You are not linking to content, and you are not violating any rights. You are linking to the whole blog, not a single post. There is nothing to ask permission for, is there? I tried to think of a scenario where someone would say no to a request to be on a blogroll. I came up with two scenarios. First, someone very serious about not getting any incoming links. So much so they went to the trouble to make sure no search engines could find them by stopping or restricting all pings and search engine web crawlers, and even had a password so only those with the password could read them. Then I thought this through and realized that you would recognize their need to privacy and wouldn’t want to link to them anyway. The second scenario would be if they don’t like your blog or your opinion on your blog. Maybe they wouldn’t want to be associated with whatever you have to say. Would that be enough of a reason to not want to be on someone’s blogroll? Then why would you want to put them on your blogroll? Can you think of a reason why someone would say no to a blogroll link? I think it’s nice and polite to ask permission to include your blog on a blogroll. I get asked all the time. It’s sweet and a compliment, but unfortunately, I don’t have time to respond to every request since I’ve been traveling almost non-stop since last November and expect to keep up the pace through the end of the year (I’m suddenly popular and everyone wants me – hee hee!). Honestly, you don’t have to ask me. 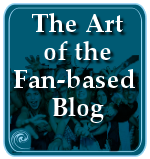 If you like what I write and want to include this blog in your blogroll, go ahead. 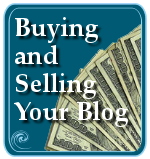 Put a WordPress blog on your blogroll list and sooner or later, if you send enough folks their way, they will see your blog in the blog statistics and check it out. I enjoy the shock and joy I feel to find my blog on someone’s blogroll. Then my humble ego kicks in and I wonder why. The not-worthy-ego-problem smacks me and I get embarrassed. Though, for a moment, I’m grinning like a kid over a birthday cake. It’s an honor to be in someone’s blogroll. It’s also a very big part of creating your blogging community. Blogrolls link blogs to each other, creating their own network. It shows you’re a fan. It shows you like what they do. And it shows respect for other’s work. Consider a link in your blogroll as a brag not a request. After thinking about what it would take for someone to say no to a blogroll request, I realized that the person requesting permission wasn’t so much as asking to put your blog on their blogroll as implying that “if I list you, will you list me?” This I have a problem with. I see some blogrolls with long lists of links that feels like it’s a half meter down the web page. Outrageous. And semi-useless. Do you, as a blog reader, carefully go through 25 to 75 blogroll links to check out each one? Or do you skip over them as time-wasters? Or do you think a super long blogroll is just a link exchange gimmick and ignore it? Honestly, what do you really think when you see such a long blogroll? I’ll soon write more about link exchanges, but for now, put bloggers on your blogroll that you sincerely recommend, whether or not they link back to you. Do it because you want to, not because you want something in return. Do it because you can honestly say “this is worth reading!” Remember, they are a reflection of you and your blog, so think through their inclusion. You can put anyone and anything you like on your blogroll. You can make up your own guidelines and standards for inclusion, or feature a totally diverse collection. As far as I’m concerned, there are no rules, no etiquette, and no reason to ask permission to put a blog on a blogroll. Can you think of any? Go for it. Link away. 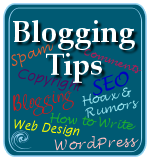 This entry was written by Lorelle VanFossen and posted on July 10, 2006 at 1:26 am and filed under blogging tips. Bookmark the permalink. Follow any comments here with the RSS feed for this post. Post a comment or leave a trackback: Trackback URL. I used to think I wasn’t obligated to link back to someone just because they included me on their blogroll, but after a coupla of (nice) emails implying I should return the favour, I started getting a little nervous about it. It can be political, can’t it? But I never, ever feel that someone should link to me, and I wouldn’t ask, either. The only time I would be against someone including me would be if the content of the blog was so inappropriate that I wouldn’t want to be associated with it, which has yet to happen. I *am* very honoured when a blog I have a lot of respect for mentions me at all, let alone blogrolls me. I’m also with Flood — I really appreciate it when people link to me, either through a blog post or their blogroll, but I don’t feel obligated to link back unless I really want to. Often, it’s not that I wouldn’t recommend the person’s blog, but that I, too, get annoyed with the never-ending blogrolls, and I want to keep my list pretty small and focused. I will say…it never occurred to me to ask permission to link to someone. I just figured they’d be as flattered as I would be if someone links to me! So this is my cue. Thank you so much. This topic has been going around the “mommy blogosphere” for awhile now. Some people have gotten so stressed out about it that they have opted to remove theirs. I agree with what you have written. It is very well said. Actually, I could say that better but the late night sun is in my eyes and blinding my thinker. Actually I’m glad this is your opinion seeing as I just added you to my links and it never occurred tome to ask first. The only time that I think it wold be appropriate to ask first is if the person who wants to link is running an Adult website. Thanks Lorelle. This is very helpful. I’ve always put blogs in my blogroll without asking permission first. I didn’t want to ask permission because I thought that it would obligate that person to put my blog in his or her blogroll. Yet at the same time, I also thought that person might not like it if I blogrolled him or her. So now, you’ve shed light on my problem and I appreciate it. I swear..If it weren’t for you, I would be the worst blogger of all! Thank you so much for your tips and advice. I added you to my blogroll under Learn! and then come back to make sure it was ok! Thanks again! Cool. This comes as big relief. I’ve normally been very conservative about whom I will add to my blogroll, primarily due to fear of offending someone. So.. from now on, I will add the blogs that I like to read regularly to my blogroll. I already have a favorites list in Technorati, and a ‘Blogs’ folder in my Firefox bookmarks, so I will start with those. I’m new to blogging. How does the other blogger know that I’ve added them to my blogroll? They don’t, and they shouldn’t. If you use a blogroll, which is a bit old fashioned now, you do it for you and your readers, not to let someone else know you care or make a big deal out of it. Consider it a gift you give without expectation of return.